If you are familiar with the South Park series then you know that they are known to push the limits. Aside from there hilarious television series they have gotten into the gaming scene with the popular release South Park: The Stick of Truth. Along with their next release they will be doing something that has never been done before. 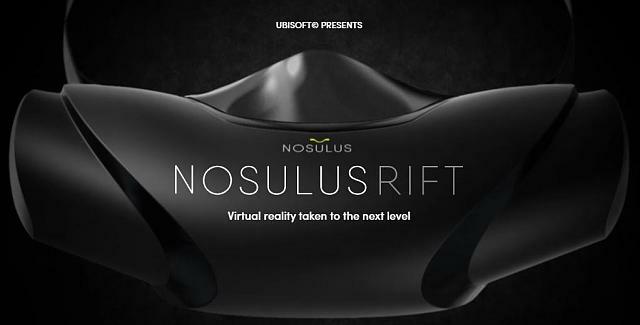 With the help of Ubisoft, the Nosulus Rift was developed for their new game South Park: The Fractured but Whole. Now this is likely just a very unique marketing gig but man is it interesting. Basically how it works is like this: you attach the Nosolus Rift to your face and start playing the game. When the story line implements a fart you will smell it through this. Now this is something I probably wouldn't put myself on the pre-order list for (and it likely won't be for sale) but hey, it reeks of innovation. Ubisoft and South Park are set to showcase this device at Gamescom on August 17, 2016. I'm wondering how many different aromas are programmed into this device and how well does it work? Hopefully they make a reaction reel of everyone who tries out this device so I can experience it without actually smelling Cartman's gas. It's so great that South Park is able to make everything comical even when it comes to high tech devices. So my question to you guys , would you put this on? Source:EVGA Gaming | Do I smell a new VR device? It could always double up as vomit inducing medical device. What is your dream VR/AR setup? Note 4 best VR headset?